The SEC is evaluating changes to the definition of an Accredited Investor. If their suggested changes go thru, it could eliminate 60% of those who currently qualify, potentially halving the size of our group and the U.S. angel community. According to both SEC and General Accounting Office estimates, adjusting the net worth test for inflation, as advocated by some organizations as a form of “investor protection,” would eliminate about 60 percent of current accredited investors. The two agencies estimate that inflation-based adjustments would increase the net worth standard to about $2.5 million and annual income to $450,000. 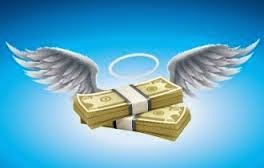 As a member of the Angel Capital Association (ACA) and the Alliance of Angels (Seattle Angel Conference) I urge the Commission to protect angel funding to ensure the health of the startup economy we support, by retaining the existing financial thresholds in the current accredited investor definition. These thresholds -- $1 million in net worth or $200,000 in income -- have worked well for decades, creating a vital accredited angel investor sector that is the primary source of funds for early-stage companies that drive the innovation economy and job-creation nationwide, and with very little fraud. i Maintain the current financial thresholds of $200,000 income per individual; $300,000 for joint filers, or $1 million net worth not including primary residence for individuals to qualify as accredited investors. ii Incorporate the concept of “sophistication” for individuals who do not meet the above thresholds to prudently expand the accredited investor pool, using a detailed questionnaire to identify qualitative information about knowledge and experience with this type of investment.